Another post, doing quite well, feel like I’m on a bit of a role recently, and another Unsigned band! 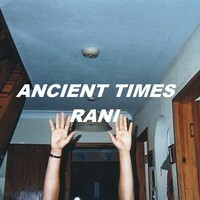 This time it’s ‘Ancient Times’, a band that come from Brighton. They’ve been together since July 2012, and the journey began when they recorded their first three demo’s, and realized ‘We’re actually pretty good at this, lets make more music’, and so they did. The e-mailed me, and its a good job they did, else I would have never have found them because of my lack of ability with the internet, I’m not very good at finding these new bands. Right before I rattle on about it, listen to the track while I nip off and make a brew. Listened to it? Good isn’t it? The song has really dark tone to it, especially with the vocals, while I was listening to it reminded me of Ian Curtis and Morrissey, perhaps if there voices were mixed, I think it would be this voice . Also if you listen closely to the lyrics they have dark undertone with them as well, but you do have to listen quite intently. There’s no doubt that the vocals are the center piece of this song, because they’re so prominent in this song, and also in the other ones that they have. Although the song has this dark tone to it, I find it quite uplifting as well in parts, which I find mainly in the chorus. I think the guitar in the song really compliments his voice because It’s not so loud and not brought to the forefront of the song. Also with the drums just slowly building it up just before the chorus, it’s like it’s building up the tension, and then chorus comes and it just blossoms. For a demo I think it’s rather good and I don’t think a lot has to be done to it, unless they have some interesting idea for it. Another great band that I’ve had the luck of listening to, and hopefully I’ll be able to go and see them at some point. Also they’ve got some shows coming up which you can find on facebook. Very excited to see what else this band can come up with. Really advise you to listen to their other tracks that they have on their soundcloud, especially if you enjoyed that track.